This version of the original article, from goldcoin.org, has been edited* here by munKNEE.com for length (…) and clarity ([ ]) to provide a fast & easy read. For the latest – and most informative – financial articles sign up (in the top right corner) for your FREE bi-weekly Market Intelligence Report newsletter (see sample here). 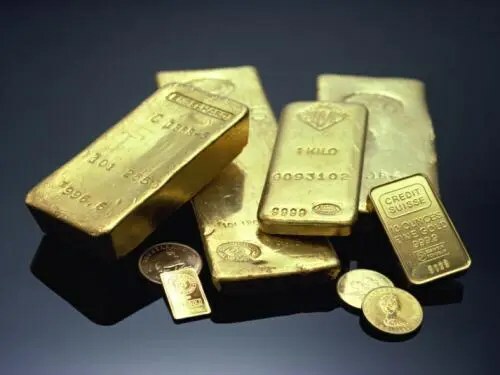 If you decide to go to a dealer… in London, New York, Sydney or Toronto, they probably sell whole gold bars or smaller fractions as gold ingots and it all seems very safe and easy – but be careful what you pay. The price of a 1Kg bar should be just a few percent above the price of gold but the smaller ingots do not compare so well. They are often sold up to 50% higher than the spot price. You buy the gold over the counter and then what? Ideally you should store it in a vault for security. This protects the integrity and value of your investment because it never leaves the professional circuit and there are no unnecessary transport costs to eat away at your investment. It also makes resale very simple because the gold does not have to move. Remember that your bar or ingot will lose value immediately if it has left the professional circuit. In the case of expensive smaller ingots the gold price will have to increase drastically to recoup the 50% premium before any return is made. In the case of a 1 Kg bar you will need to find a buyer who has the money for a whole bar and trusts you that it is what you say it is. A kilo bar is difficult to transport. At airports it is considered as a blunt instrument. It can only be insured at the post office for a maximum value of five thousand Euros (or equivalent). There are also false ingots which are either plated or filled with tungsten. The price of bullion bars only increases with the spot price. This is important to remember at resale. The most important moment for a gold investment is the moment at which you choose to sell it i.e. for a maximum return on investment. when you buy a 1Kg bar ensure that it is from a reputable professional source and close to the spot price. [While] bars and ingots do not maximise the benefits during periods when the price of gold is high…allocated physical gold is always preferable to “paper” gold as an investment. 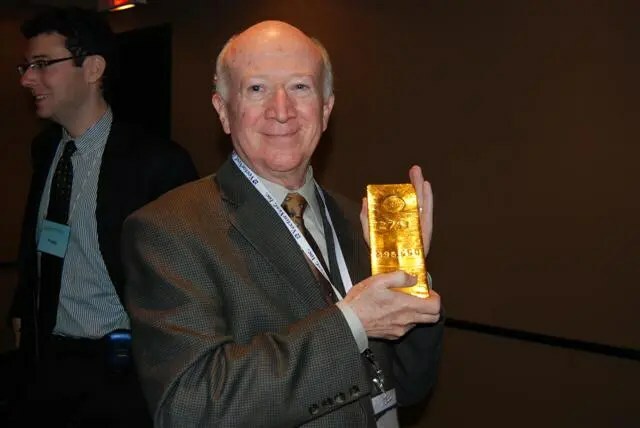 Gold bars and ingots, however, are not the best physical gold investment. Gold coins are. the extent of supply of specific brands by location. When the premium of a gold coin rises dramatically, even if the gold price doesn’t, it means buyers are seeking the coin as a store of wealth and safe haven. Physical gold investment is an excellent way to protect your wealth, especially during times of crisis and instability. *Editor’s Note: The author’s views and conclusions in the above article are unaltered and no personal comments have been included to maintain the integrity of the original post. Furthermore, the views, conclusions and any recommendations offered in this article are not to be construed as an endorsement of such by the editor. Really Deep Explanation awesome, Thanks for sharing helpful information about Buying Gold Bars. Gold bars are the safest, surest and simplest method of owning gold. If you are looking for buying gold in the UK then go for Bullion Gold Bar. Bullion Gold Bar is a completely approved wholesaler of London Bullion Market Approved (LMBA) to buy gold in the UK or to invest in gold. Purchasing gold online at Bullion Gold Bar is fast, straightforward and secure. Under the present economic condition, everybody is looking to invest their hard earned money so they get good returns and their future is secured. Gold ETFs provide an opportunity for investors to accumulate gold over a given period of time. Since it can be purchased in small quantities, one can plan the procurement as per future requirements, say, for the marriage of children, etc. Moreover, there is no risk of theft and one need not worry about the storage cost (as in case of physical gold) because such units are held in demat or paper form. In the case of physical gold, one ends up paying extra for making charges as well, but there is no extra charge applicable in gold ETFs. When needed, one can exchange them in multiples of 1 kg units of 0.995 purity. If you do not physically possess your gold YOU HAVE NOTHING! It is very bad advice to “store it in a vault for security” as this protects “your investment because it never leaves the professional circuit…”. It’s this “professional circuit” that has been manipulating precious metal prices for years and I would not trust them not to sell the same ingot hundreds of times over to people not wanting to take physical possession. Goto GATAORG and see for yourself! Gold coins are the safest, surest and simplest method to owning gold. I have owned every type of gold coin (I am a coin collector also). Modern bullion coins are the most trusted and tend to have the lowest spreads or mark-up over the gold spot price. 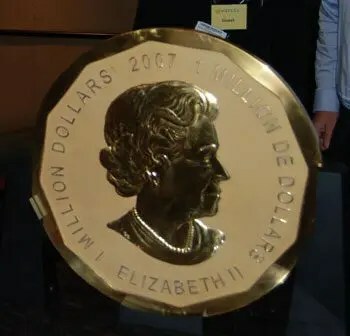 World gold coins are also a great option, as they were also minted by reputable governments, have pleasing asthetics, and come in smaller denominations. World gold coins however, have gold content that are irregular and unknown to most. Secondly, when you sell, many dealers discount the coin below the spot more than their modern bullion counterparts. 1) Buy coins with the lowest mark-ups over spot. 1 Oz coins are usually the best value. 2) Buy what is liquid: Gold Eagle, Kruggerand, Maple Leaf, Philharmonic, Panda, etc. 3) Buy coins that have both the gold weight and fineness already minted onto the coin. In a crisis, you wont have to lug around a reference book to prove the weight and fineness of your gold coin. My favorite non traditional gold coin series was the Peruvian gold Soles – Beautiful asthetics, scarce but usually the same premiums as modern bullion, and both the fineness and weight are minted onto the coin. I just purchased one ounce gold American Eagle and exchanged my gold grams into a gold Kuggerand. I thought the gold grams would be good for small denominations but I’d rather have the gold coins instead. I plan on purchasing various denominations of gold in coins instead of grams. It’s great to have gold and silver while its affordable. Sadly to say but when the precious metals begin to climb in price because a lot of people will continue to lose faith in our government. Also when they feel the squeeze in their wallets. Many people will be unable to afford gold and silver when it would be a time to own it after the economy worsens. I didn’t put all my eggs in one basket. I want to own gold, silver and pre-1964 coins. Most important will be food, water and shelter. Get out of debt, too.